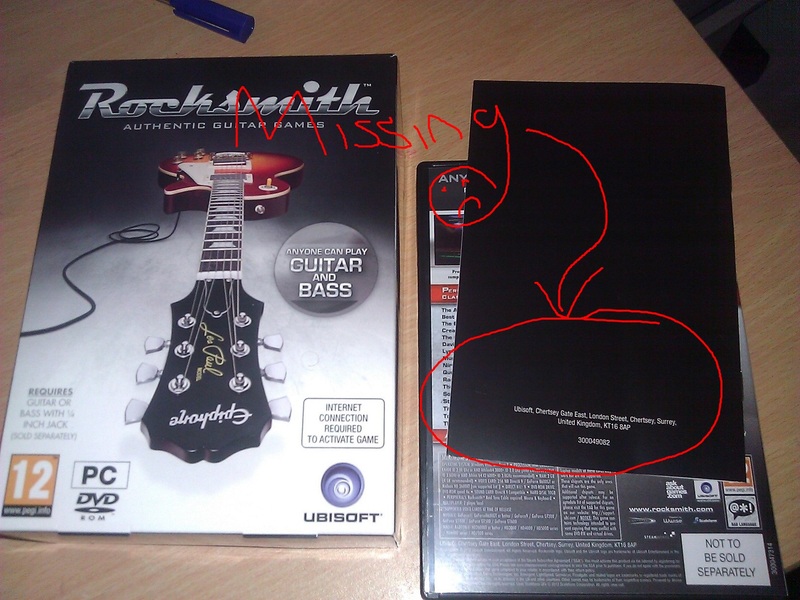 A couple of weeks ago I bought Rocksmith for Xbox 360. This has genuinely fuelled my interest and passion for playing the guitar again (I play on and off, but I’m not that great). For those of you who don’t know, its basically guitar hero but using a real guitar. As you are using a real guitar you actually learn to play the songs, it’s like a band in a box! It turns out that they have failed to stick activation keys in any of the PC copies in Europe…somebody is going to get fired!